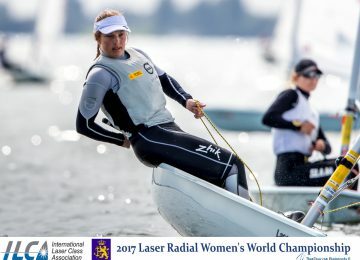 A new round of the Sailing World Cup Series 2018-2019 concluded today in Miami, with 6 European Laser sailors finally ranked among the Top 10, both in Men’s and Women’s competitions. 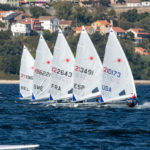 Many of our sailors performed really well within this week, dealing with prevailing light and shifty winds. But undoubtedly who really stood out among the rest was Norwegian Hermann Thomasgaard NOR (3-1-1-4-5-2-6-3-2-31-3-20) securing Gold even before the Medal Race and many points ahead of first pursuers Sam Meech NZL and Tom Burton AUS. 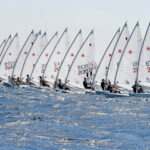 Jean-Baptiste Bernaz FRA, William De Smet BEL, Karle Tapper FIN and Lorenzo Chiavarini GBR holded places 5th to 8th, while Finn Lynch IRL closed privileged Laser Men’s Top 10 frame on 10th. 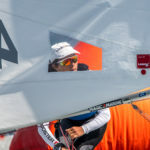 Greek sailor Vasileia Karachaliou GRE (60 BFD-9-37-2-3-3-11-10-8-5-10) also secured a place on Women’s podium before the Medal Race, finally being Bronze just 3 points behind local sailor Paige Railey USA. 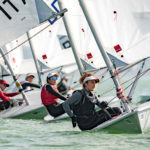 Women’s Gold medal was for Chinese sailor Dongshuang Zhang CHN, 14 points ahead of Paige. Anne-Marie Rindom DEN and Alison Young GBR were finally 4th and 5th overall, while Viktorija Andrulyte LTU, Monika Mikkola FIN and Josefin Olsson SWE were 7th to 9th respectively. 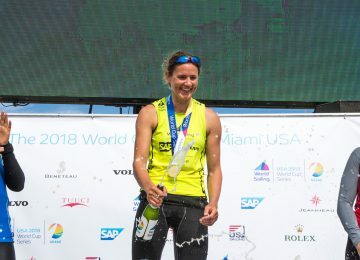 2018-2019 Sailing World Cup Series Miami – Full results here. 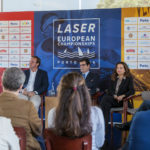 By Agustín Argüelles – EurILCA | Photos: Sailing Energy – World Sailing.